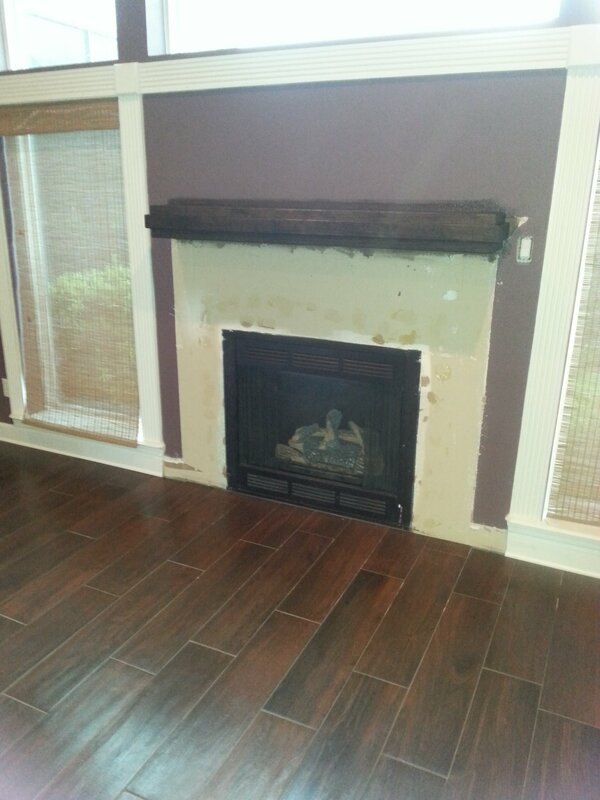 AAA completes a fireplace remodel in Jacksonville home. 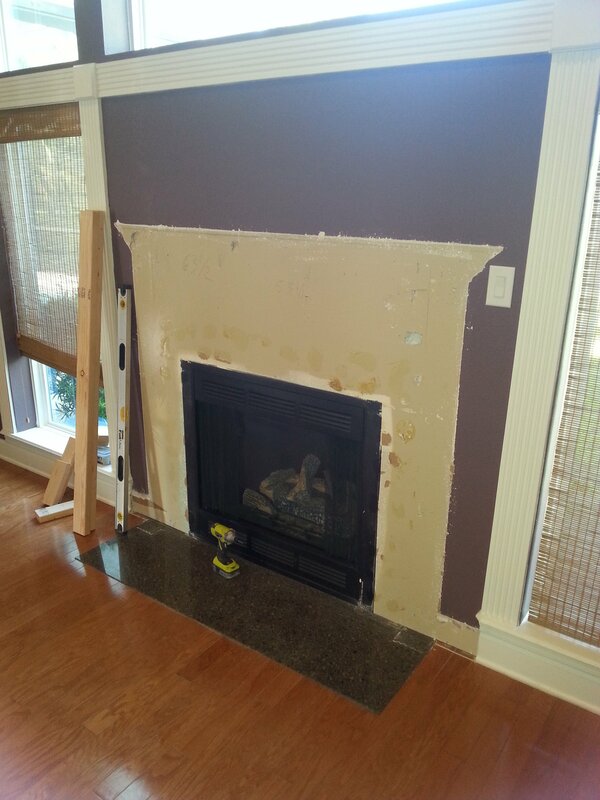 For this fireplace remodel … Took off builder’s grade mantle. 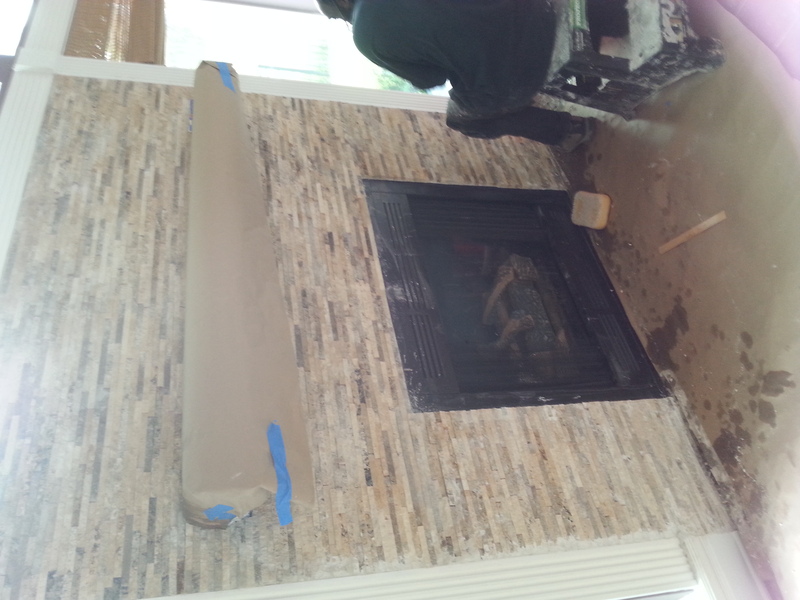 Built custom made mantle. 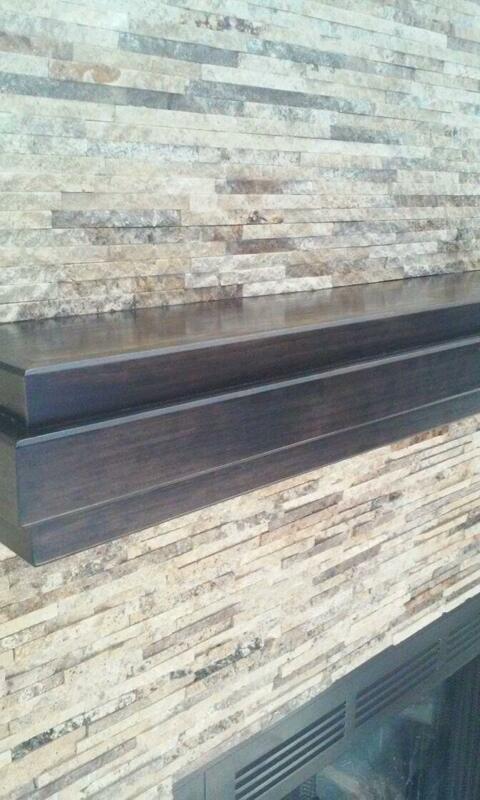 Stained and polyurethaned. 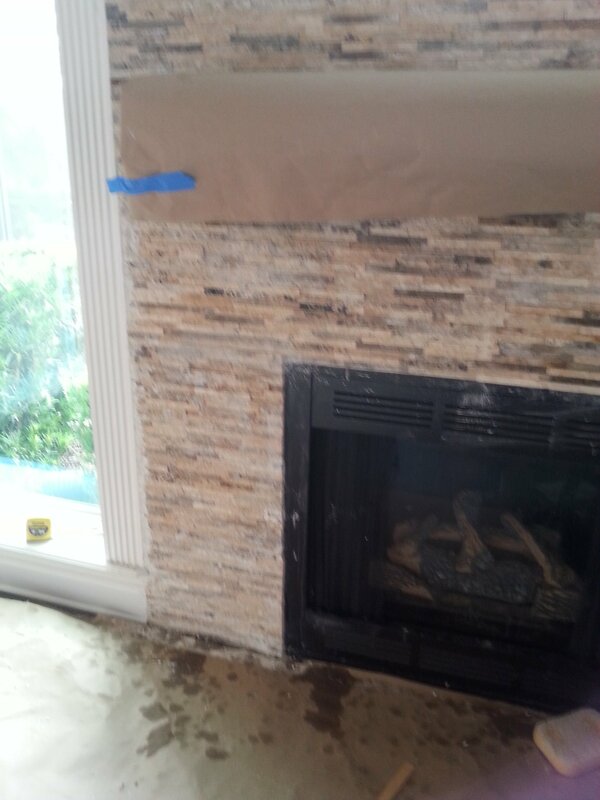 Installed stone mosaics, then sealed it. 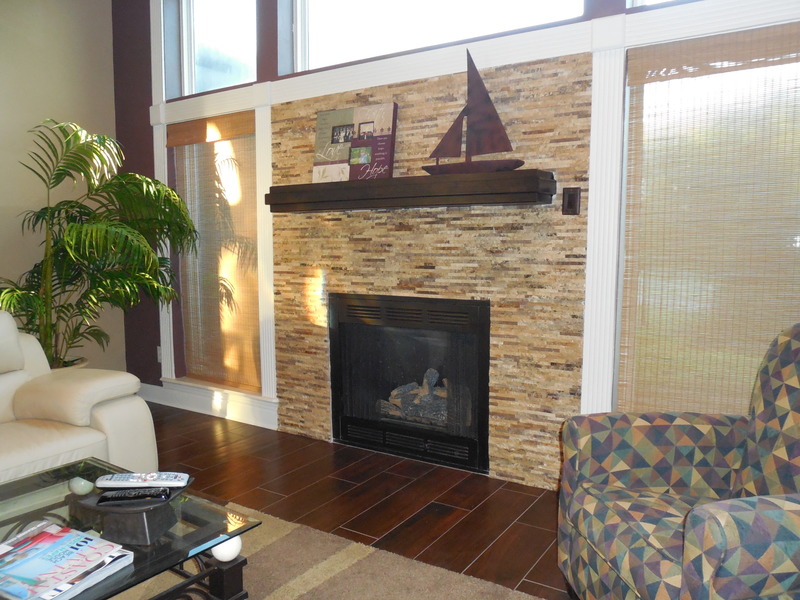 Looking for ideas on remodeling your fireplace? Contact Us.